The idea was covered in a white paper just 9 pages long. A mysterious, anonymous entity known as “Satoshi Nakamoto” posted a white paper on October 31 2008 entitled “Bitcoin: A Peer-to-Peer Electronic Cash System”. It was the first time that the concept of Bitcoin entered the world. But outside of the cypherpunk mailing lists – those promoting the use of privacy-enhancing technology – this event was hardly noticed. Ten years on, who hasn’t at least heard of the cryptocurrency? Previous attempts came close to creating secure digital cash, but there was always one major problem they encountered: the need for a trusted third party like a bank to maintain the system in some way. Nakamoto’s white paper solved this problem by distributing the process of maintaining a totally transparent public ledger (known as the blockchain) among a network of competing “miners”. As long as one miner does not control more than half of the whole network of computing power, the system is secure. Cryptography, computer science, and now crucially an elaborate system of economic incentives all came together into a mindblowing overall piece of ingenuity. The cypherpunk vision to enhance privacy, limit government power and increase its transparency had finally been realised. Or had it? If there was any lesson to be learned from the failure of Digicash, it was that you could invent a brilliant system, but you had to convince people to use it, despite them never being able to come close to understanding how it actually works. With Bitcoin, we have seen extraordinary hype, with astronomical price booms and busts, and thousands of spin-off cryptocurrencies and private blockchains that are all just variations of the original. Ethereum is arguably one of the most significant spin offs. It shows how blockchain technology can be combined with smart contracts, potentially providing a costless, decentralised way of replacing the colossal global army of trust-based service industries that conventional money relies on. There is, however, only one existing blockchain that is consistent with Nakamoto’s vision: Bitcoin Cash, a so-called “hard-fork” of Bitcoin that generally shares the same history and protocol, except for two crucial details. The blocks on its chain are a massive 32-times larger than the original Bitcoin, and growing. More transactions per block, means lower fees per transaction, paving the way for global adoption. Plus, built-in codes that were switched off in the original Bitcoin, have been reignited, potentially allowing all the smart contract capabilities of Ethereum. 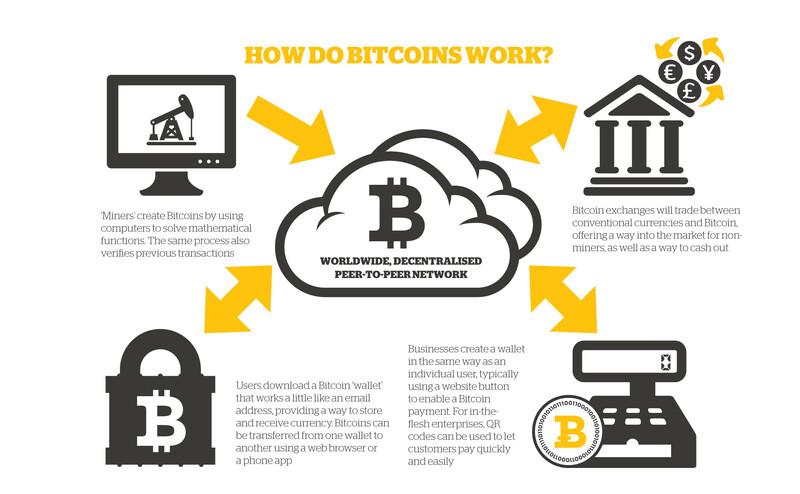 Is Bitcoin as complicated as it seems? What are the alternative cryptocurrencies to Bitcoin? The white paper itself is not explicit about goals, but the main implicit aim is clear: to create a secure form of online cash that does not depend on a trusted third party. This has already been demonstrated as a concept. The only question that remains is, to what extent will it be adopted? A recent clue to that question may lie right in the heart of London’s financial centre, Canary Wharf. Here, the Brewdog company recently launched a promotional event accepting Bitcoin Cash as payment. It is cheaper for them to process payments compared to credit cards, even allowing for the cost of them having to convert Bitcoin Cash back to pounds sterling. Recently, computer companies Newegg and Microsoft have also started accepting Bitcoin Cash as payment. Further afield, more and more developing countries like South Africa are experimenting enthusiastically with new apps that store Bitcoin Cash like Centbee, which may help people who can’t open bank accounts. A new app developed in Spain called HandCashapp and an even bolder concept called The Money Button hint at a whole new paradigm of automatic click-based micropayments that could also spell the end of pop-up adds appearing on popular content online. Nakamoto’s vision, in some sense, may have already been achieved, but will Bitcoin Cash permanently replace all fiat currencies and become one global money? The world wide web arrived in 1990, and you could argue it took a dramatic collapse and 20 years before its true commercial potential could be realised. In 2028, maybe it’s not unfeasible that the technology underlying Bitcoin will do the same for global money and all trust-based financial, legal and other services.